GENESEO — Geneseo Community Main Street is throwing a ‘Party In The Village’ tomorrow, July 7. 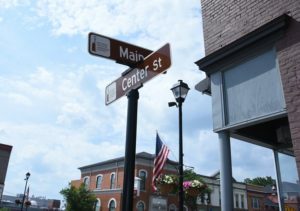 ‘Party In The Village’ will be on Center Street in Geneseo from 4 p.m. to 6:30 p.m.
“We are trying to create a family-friendly environment for anyone who wants to come grab a drink and watch some fun performances,” said Sarah Jane Phillips of Geneseo Community Main Street. There will be local beer and wine tasting along with a distillery and local food. ‘Summerfest Got Talent’ held auditions last Friday and saw a range of performances from 6 years old to senior citizens. The winners of each age group will win an assortment of prizes and the fan favorite will get a free music video made by the GeneseeSun.com.